There’s great baby stores – and then there’s the baby store. Peach and Pumpkins is that baby store, the online place where in-the-know parents get everything they need (and then some) for the newest additions to their families. Peach and Pumpkins is an incredibly curated online baby boutique that offers all of the hottest, most-wanted, #trending baby products. And it’s as sweet and homegrown as its name would suggest. Conceived in Sydney, Australia in 2017 by Adam and Pim, a dynamic husband and wife duo with kids of their own, Peach and Pumpkins has kept to its small family-owned way of doing things despite their almost overnight success with many of their products. Creating direct relationships with exclusive manufacturers from around the world, Peach and Pumpkins helps parents take the guesswork out of which products to buy, ensuring that everything available in their store is the best of the best (and at incredible low prices). Believers in natural and organic marketing, Adam and Pim favour the use of real photographs from their customers over the use of fancy lifestyle shots. A smart move considering that every product picture and social media post features some of the most adorable babies, all with those pinch-me-now cheeks you can’t get enough of! Committed to keeping the online shopping experience easy and exciting for new parents, Peach and Pumpkins is everything you would want from a baby boutique (and nothing you don’t). With summer in full swing, it’s time to dive in to Peach and Pumpkins’ must-have Baby Outdoors products. And, considering how fast these items are flying off the virtual shelves, there’s no time to tip-toe poolside! 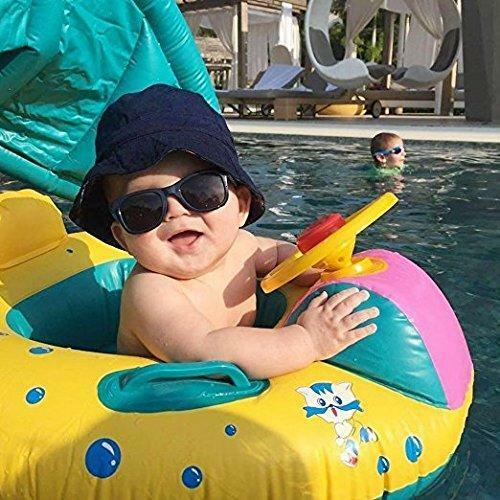 From pool floats to irresistibly cute lounge seats, the only person who will enjoy this collection more than your baby is you! 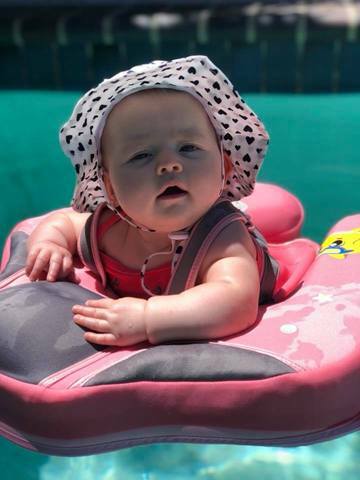 Among the hottest Baby Outdoors products available on Peach and Pumpkins, the MamBo Swimming Series is proving to be the most popular. And, with one look at these buy-me-now products below, you’ll see exactly why we (and so many others) can’t get enough! Designed for babies aged from 6 months to 2 years, The MamboFloat Baby Water Float is officially the next generation swim trainer every parent will want. One of the safest ways to give your baby the full water experience, the MamboFloat never leaks because it’s made from PearlFoam – it’s not an inflatable. Breathable, lightweight, and super buoyant, it allows your baby to “swim”, happily paddling and kicking, by your side all summer long. 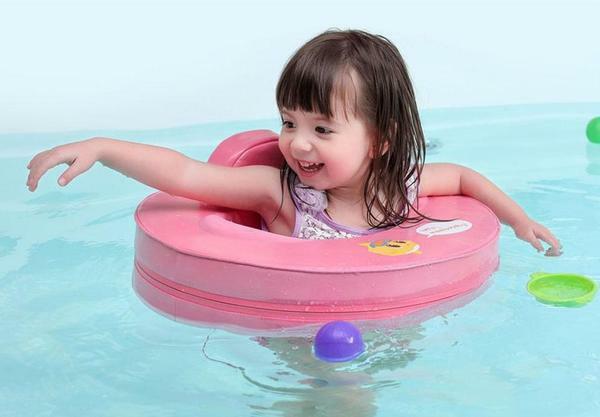 Designed for children aged from 8 months to 4 years, The MamboSeat Relaxable Water Float is an adjustable, non-inflatable water float that keeps your baby secure while they enjoy the water. 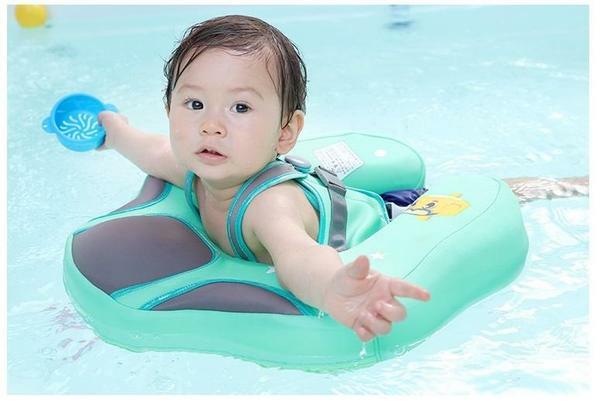 Created with eco-friendly PearlFoam, it keeps your baby comfortable and safe in the pool. Portable and lightweight, it’s great for travel and ready-to-go pool bags. A step-up from the traditional puddle jumpers, the MamboSwim Jacket Trainer is a smart way to help children aged from 2 to 6 years old learn how to swim while keeping them safe in the water. Completely non-inflatable, this swim jacket uses the same PearlFoam in other MamboSwim products so that your child stays comfortable without skin irritation. All three of the fantastic MamboSwim Baby Products featured above are exclusive to Peach and Pumpkins, which is why parents act quick when they see them in stock. Although relatively new in the baby product world, Peach and Pumpkins has already developed the kind of stellar reputation that larger brands can only dream of. 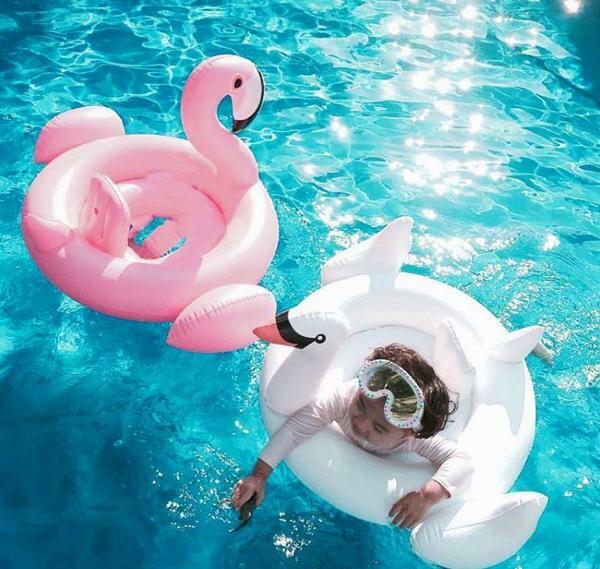 Having been featured by both UK Vogue and Tatler, and acquiring an impressive social media following of almost 60,000 worldwide in their first year, Peach and Pumpkins are aiming big! Credit to Adam and Pim for creating an online baby store that’s worth every penny spent.